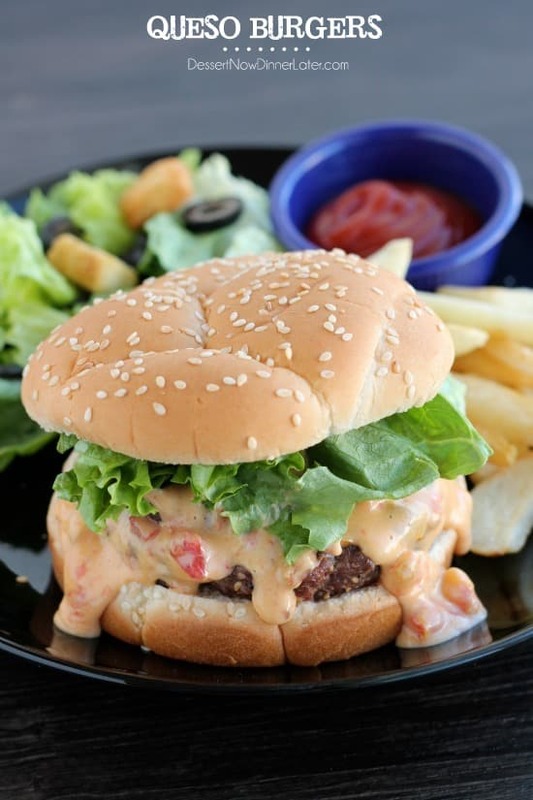 Queso Burgers - Dessert Now, Dinner Later! 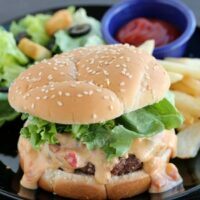 I told ya’ll that I would have another delicious burger recipe for you to try! 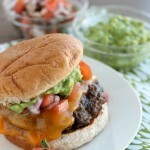 Did you catch my last post about Mexican Burgers? Taco seasoned patties, with cheddar cheese, guacamole, and pico de gallo! Those were DELICIOUS and so are these! 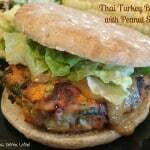 If you have a BBQ anytime soon, I would try one of the recipes I just mentioned, or you can try my Italian Caprese Burger with Garlic Basil Aioli (one of our favorites) or these lighter Thai Turkey Burgers with Peanut Sauce to impress your friends with. The same old plain jane burgers with ketchup and mustard are a thing of the past! Be unique and try something new! 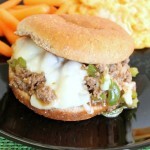 These queso burgers are super simple to make and have great flavor! It’s the Ro*Tel Famous Queso Dip recipe on top of a seasoned burger patty. Talk about easy! I am a sucker for that queso dip and now I can enjoy it with more than just tortilla chips! These Queso Burgers are a little messy, but when you are eating a burger like this, you won’t care! Grab a napkin, and get to eating! In a saucepan on medium heat, melt the Velveeta with the Ro*Tel until it's smooth and hot, stirring occasionally so it doesn't burn on the bottom. Keep warm. Heat grill, and cook burgers 3 to 4 minutes per side, sprinkling the burgers with extra steak seasoning as desired. 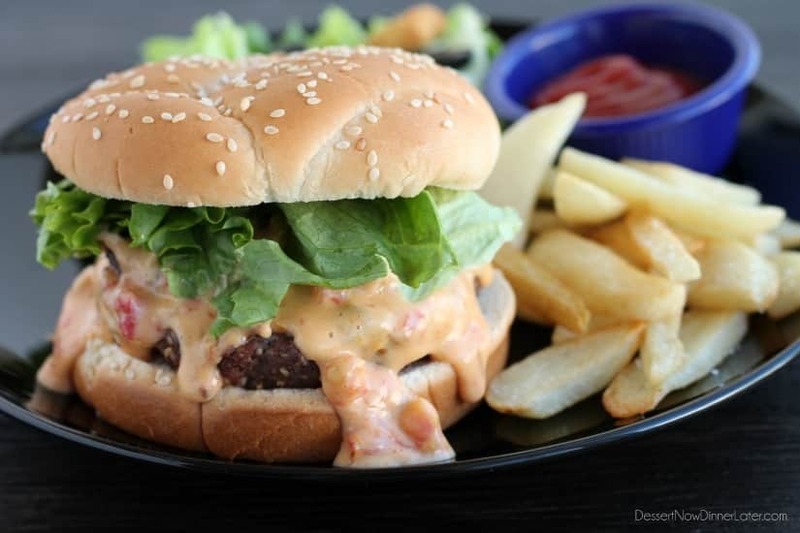 Place burgers on a toasted bun, smother with queso, then top with lettuce and enjoy! WOW this looks SO good!!! My mouth is watering! Yum! I wish I had one of these now even though it’s breakfast time! The cheese oozing out is killing me! Oh my goodness I wish I had this to eat for lunch right now. YUM! 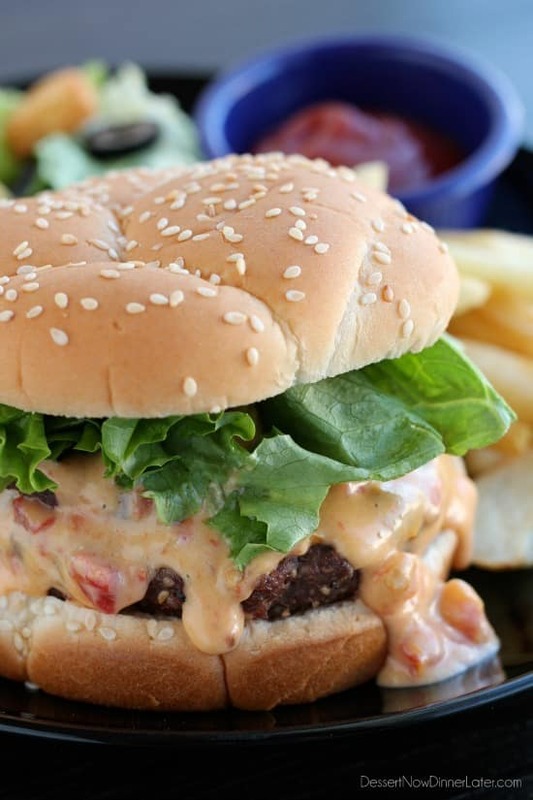 Nothing better than a queso burger, with chips and queso on the side! I love a good burger, and all of these sound amazing! Thanks for switchin’ up our summer burger menu!! Consider this Pinned! Awesome! Thanks for pinning Audra! 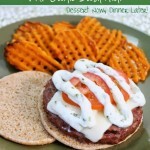 Such an awesome burger idea, love the queso!!! Thanks Matt! This is a hubby favorite, so a man pleasing meal for sure!